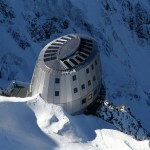 The new Goûter Hut in the Mont-Blanc, one of the highest in Europe, has been allowed by the mayor of Saint Gervais (Haute-Savoie, France) to open on the evening of June 27. The sub-departmental security commission had recently issued a statement favorable to its opening.. This is a big releaf for the mountaineers attempting the ascent of the Mont-Blanc. 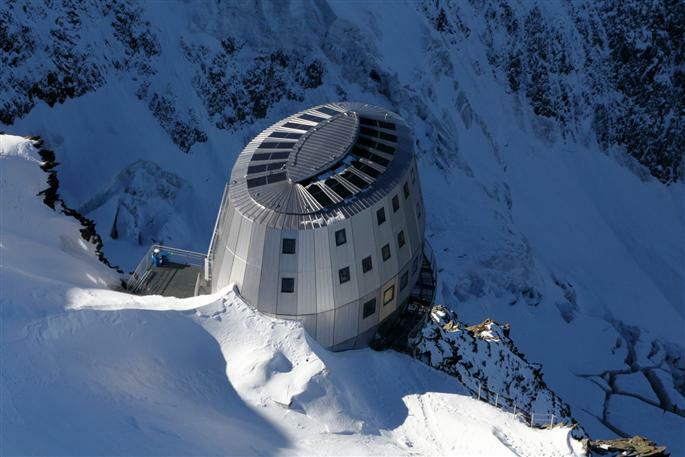 Perched at 3,835 meters above sea level, this building of ovoid and futuristic architecture is located on the normal way of the Mont-Blanc, the busiest route to the top. More than 200 climbers a day are expected to be seen on this route during the peak season (June 15 to September 15). For several technical/safety reasons its opening was postponed a few times. At a cost of 7 million euros, it should work based exclusively on renewable energy (solar, biomass) and use innovative technologies (snow melter, waste-water treatment).